Fall is sneaking up on us, so I thought I'd get ahead of the game and do a little crafting. With a few scraps laying around the house, here's what I came up with. Just find yourself a leaf pattern (use google, draw one, trace a real one.. whatever it takes). 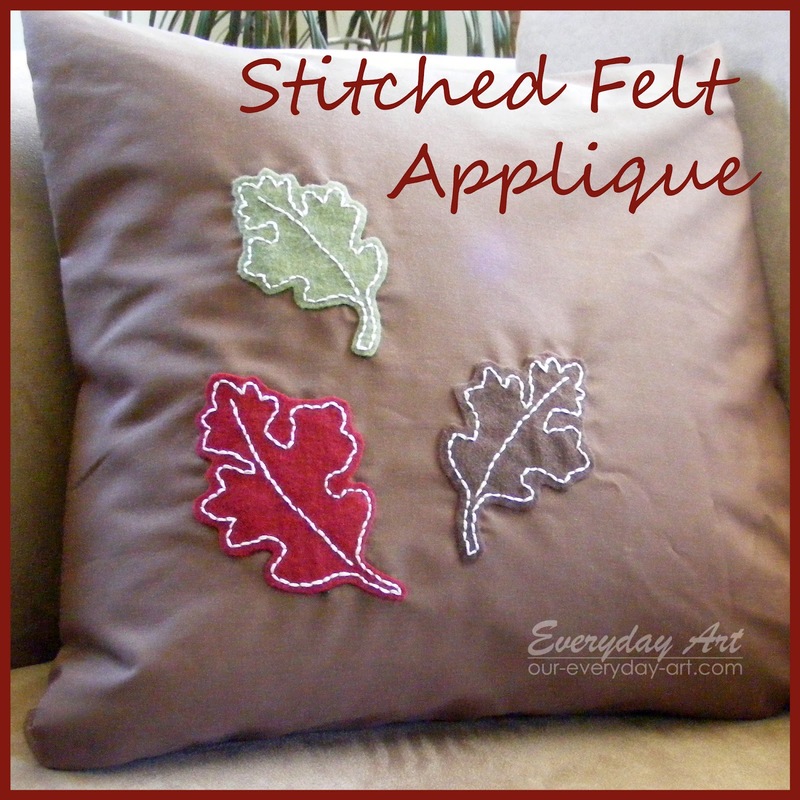 peel off the paper, then iron-on your leaves to your project. Then use thread, twine, or embroidery floss and stitch the outline and details. I love how the applique looks with the little stitches. Gotta love texture. These are so sweet and simple! My name is Katie, and I write Horrific Knits. I'm hosting a fall themed link up and I would love you to join!